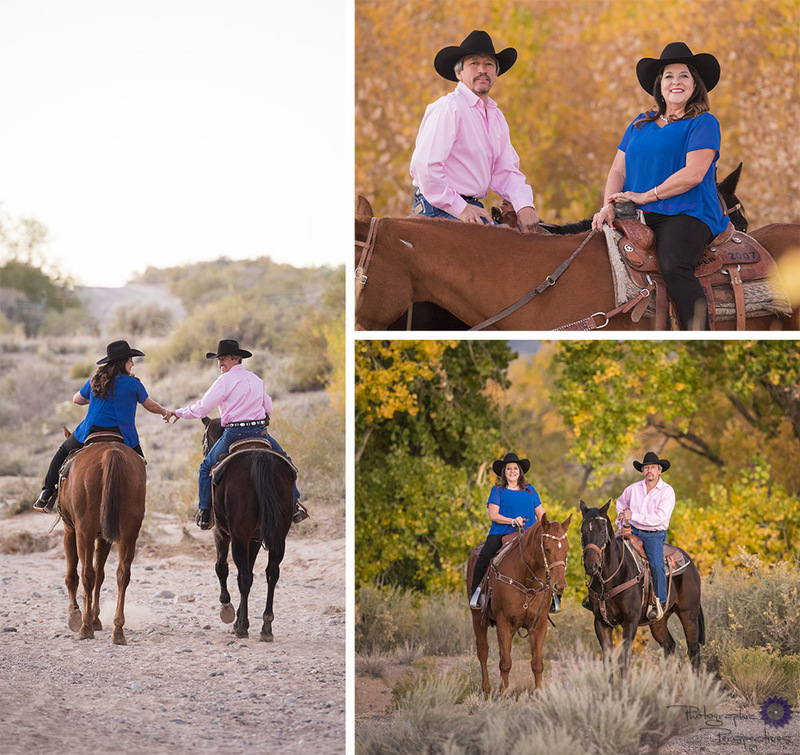 Please enjoy this fun and beautiful Horseback Anniversary Session featuring Rosie and Ron. Rosie and Ron wanted to make sure they had a fantastic time during their evening anniversary photo shoot this fall. We were thrilled when they said they wanted to bring their horses along for their photo shoot. What a great idea! Watching them get the horses prepped for the ride and ending with a sunset stroll along the Rio Grande made this photo session pure magic. Also, check out our Facebook and Instagram for updates and the latest with Photographic Perspectives!